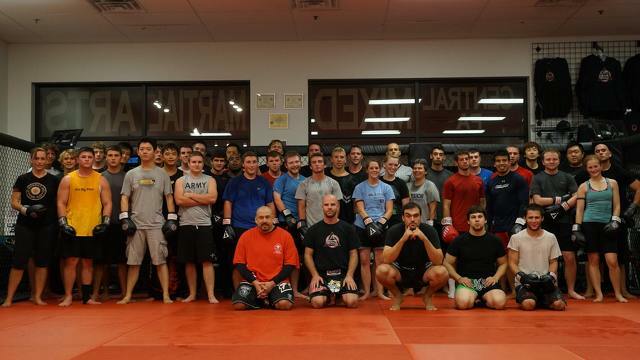 Photo courtesy of Central PA Mixed Martial Arts. When Ryan Gruhn moved his martial arts studio into its current location in 2010, he’d gone through three other spaces since 1992 – and he already knew he’d have to move again. Gruhn, head instructor with Central PA Mixed Martial Arts in State College, says he’s always aimed to make his studio “bigger, better and more efficient.” Though he says its current location along South Atherton Street is more convenient than previous downtown studios, it didn’t offer space enough for the kind of growth he has in mind. The popular studio already boasts close to 500 students, which he hopes to double by 2017. And to do that he needs to double his training space. As it turns out, he’s tripling it. Having recently gone through negations to obtain a new building with three times the practice space of the current studio, CPAMMA is certainly getting bigger – and along with that, Gruhn hopes -- even better. An exact move-in date hasn't been determined, but Gruhn expects to be running classes at 1445 West College Ave by early 2015. Donna Coffman, an associate professor with Penn State and a CPAMMA student, says she’s “really psyched” for the move to the new location. Dripping with sweat after an intense workout, she looks forward to being able to take a shower in the new studio’s locker rooms after classes. Locker rooms aren’t the only new feature of the new location, which used to be the showroom to Kissell Motorsports before the property was purchased by Penn State. Gruhn has signed a letter of intent with the university and says the new space will have a full cage area, a boxing ring and a student lounge. Gruhn says the mat room in the new studio is larger than every other similar space in town, except maybe the Penn State wrestling team’s. Brooke Miller, head of administration with CPAMMA, says fall classes have filled up earlier and earlier each year. To compensate, they’ve added additional time slots and classes because they only have space for one class at a time. In the new space, there will be room enough to run multiple classes at the same time. “A mom could be doing women’s kickboxing while the kids do youth martial arts and the dad does jujitsu,” Gruhn says. Miller and Gruhn both acknowledge the move will bring challenges, but they’re not in the habit of backing down from a fight. Heavy construction equipment has been digging up a field along East Branch Road -- but it's not the site of a new fast food restaurant. 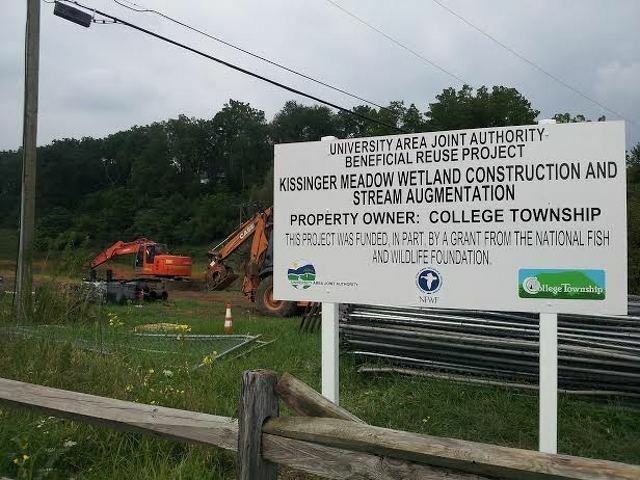 The work, overseen by the University Area Joint Authority, is part of a wetlands project that's designed to improve wildlife habitat.